Oriented shield-shaped mass with single regmaglypts and remnant flow-lines. 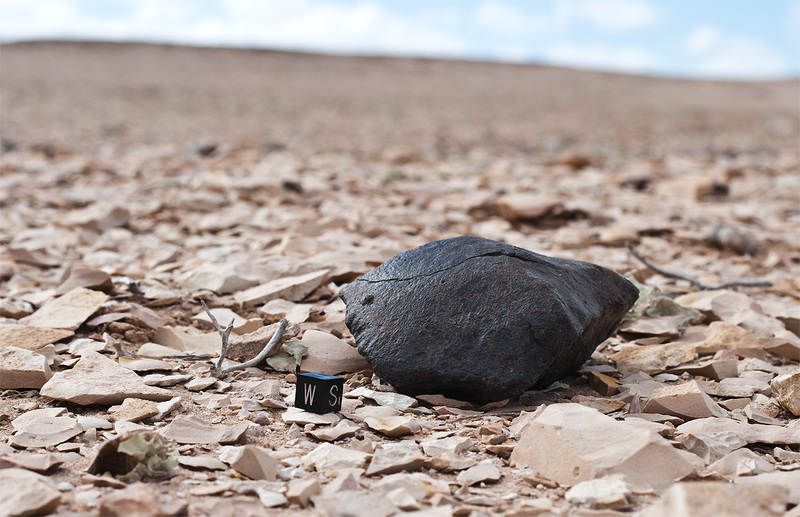 The meteorite has developed a distinct desert patina as well as few stress cracks due to terrestrial weathering. The matrix as well is darkened as an effect of chemical weathering. Most iron aggregates show progressed oxidation. 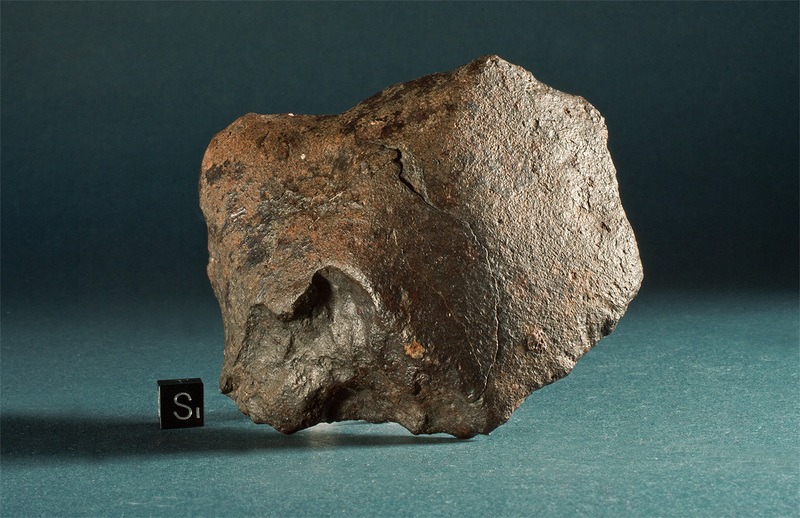 The upper photo was taken with the meteorite still in its find Position. Note the difference in color due to different lighting and cackground contrast, compared to the studio photo. Bou Kra 002 was actually the 4th find in the new dense concentration area Bou Kra which was discovered by the Meteorite Recon team in 2010.